Making “Coupes” out of nearly anything seems to be all the rage in Germany, these days. Anything from four-door sedans to SUVs can be called “Coupes” now, so long as it has a more aggressive rear end and a sweeping roofline. Technically, the word coupé means “cut” in French and has nothing to do with the amount of doors. So, technically, the Germans aren’t necessarily wrong. But it still feels wrong. Nevertheless, some of these four-door coupes have actually been quite good. 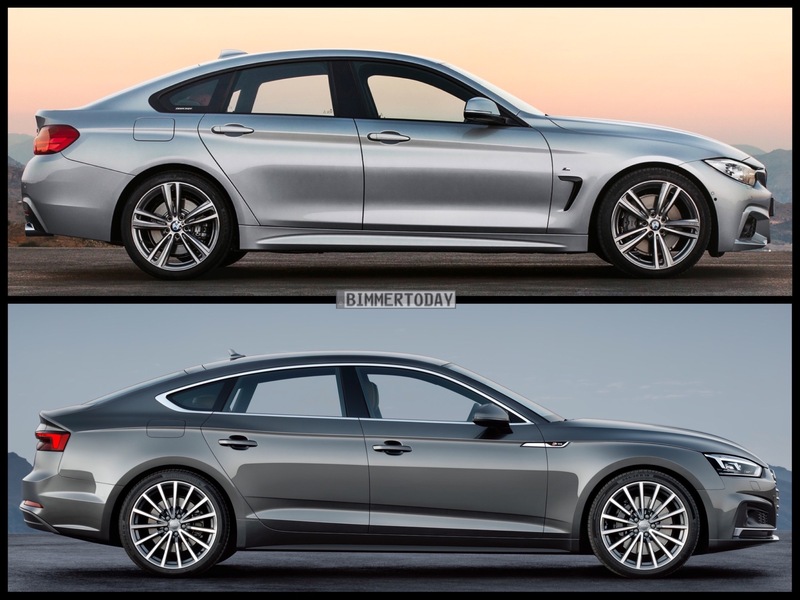 Both of BMW’s attempts, the 6 Series and 4 Series Gran Coupes, have been rather excellent, actually. Other automakers have struggled, but are doing alright. Audi, for example, first attempted the four-door coupe with the original Audi A5 Sportback. Similar to the 4 Series Gran Coupe, the A5 Sportback was a four-door variant of a two-door car that came with a hatchback-style trunk. While it was a fine car, it didn’t quite look right and didn’t drive as well as the coupe variant. Fast forward to today and Audi is giving it another go. Based on the new, second-generation Audi A5/S5, the new Sportback looks much better than it did before. 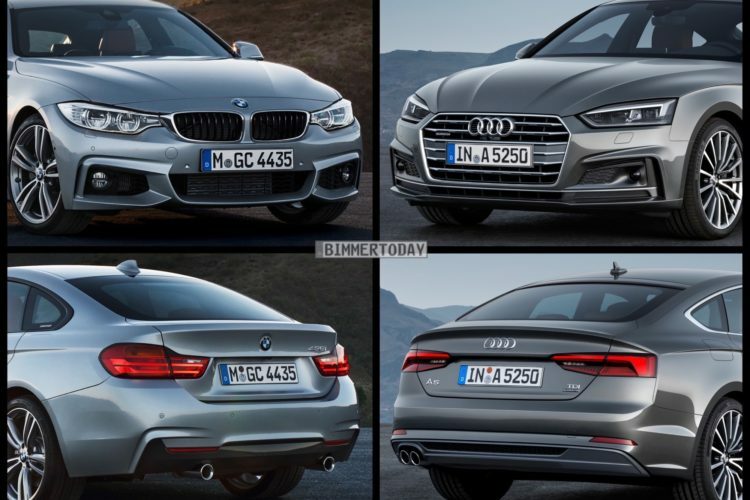 In comparison to its main competition, the BMW 4 Series Gran Coupe, it’s tough to pick a favorite. Both cars have some very good angles and some very nice touches, as well as some bad angles and touches. From the front, it’s business as usual for both cars, so there’s really nothing new to see. It’s from the B-pillar back that interests us today. Personally, I actually feel that the A5 Sportback is the better looking car in profile. 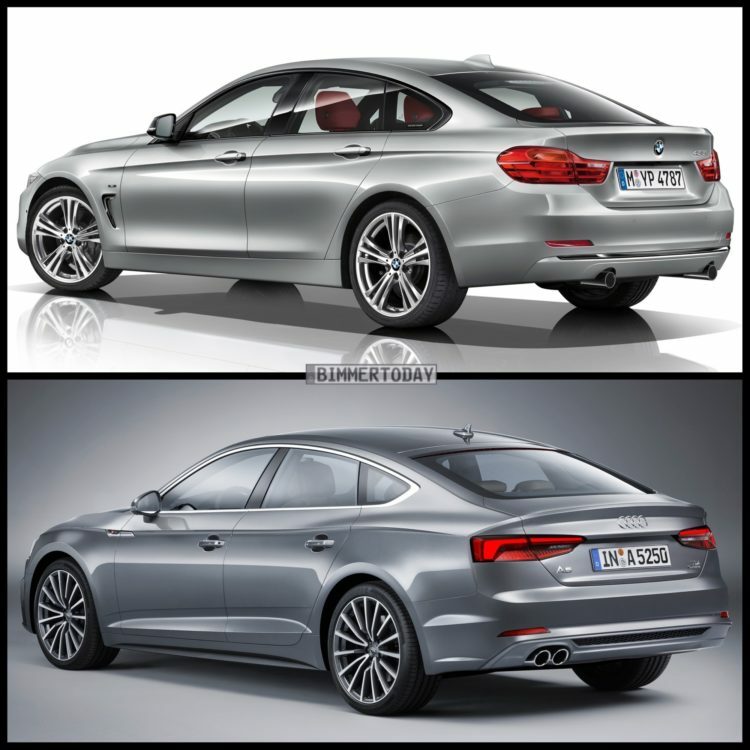 It looks more like it was designed for four-door use from the beginning, whereas the 4 Series GC sort of looks forced. 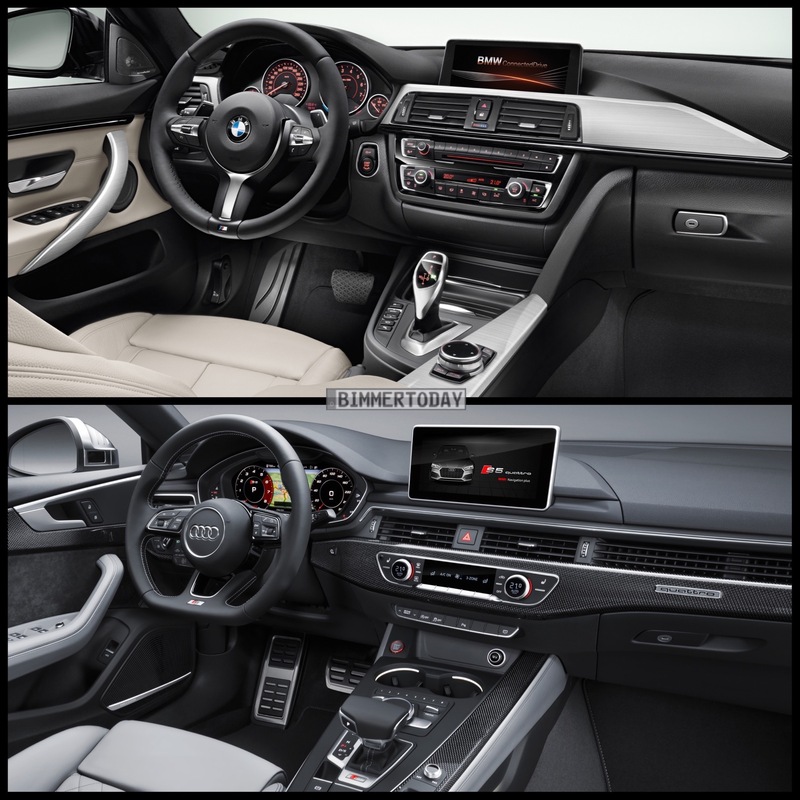 The 4 Series GC also looks a bit taller and less sporty, while the A5 Sportback looks lower and sleeker. The Audi also has a more muscular set of rear haunches. At the rear, though, I think the 4 Series GC is the better looking car. There’s just something a bit off about the rear of the A5 Sportback. Its taillights are a bit too boring and the way that rear decklid joins with the taillights just looks strange. However, looking down the side of the Audi from the rear three-quarters view, it does look very good. That flowing shoulder line is how to do a flowing line correctly (maybe Infiniti should take notice). On the inside, it’s business as usual, yet again. Both cars have tremendous cabins, but I think the edge goes to the Audi again. It’s just more modern and filled with better technology. That single-piece horizontal vent looks great and the ergonomics are superb. The 4 Series cabin is still a triumph of substance over style, with near-perfect ergonomics, fantastic build quality and the best steering wheel (M Sport) in the business. However, the Audi A5 combines a lot of that substance with more style and more interesting technology. The Virtual Cockpit with Google Maps is really quite incredible to use and fascinating. Although, BMW’s iDrive still trumps Audi’s MMI, even if the folks in Ingolstadt are catching up. 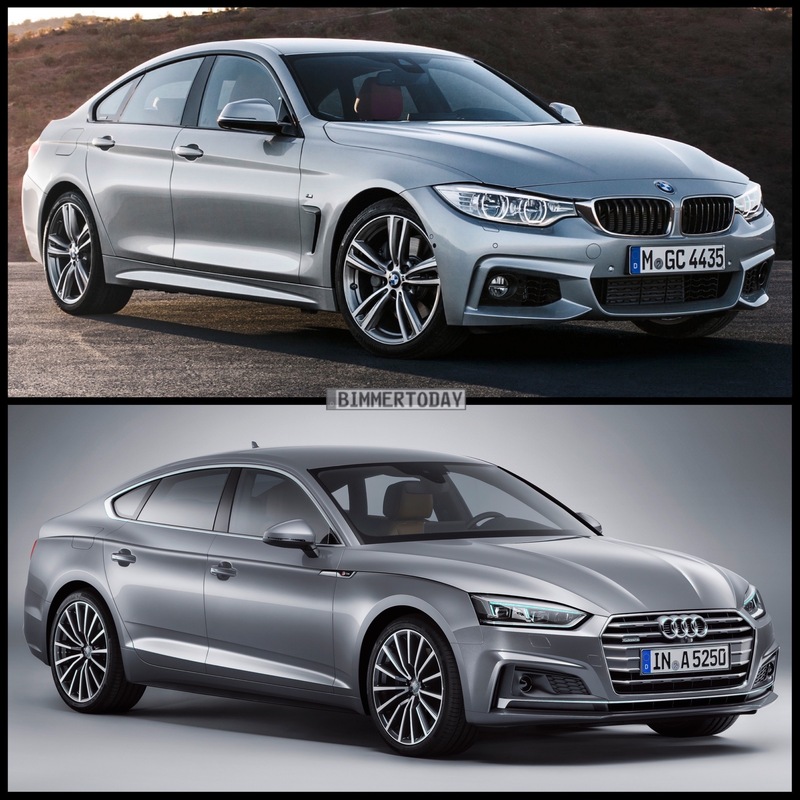 Overall, I’m personally a fan of the new Audi A5 and the Sportback variant does look pretty good to these eyes. We’re still big fans of the BMW 4 Series Gran Coupe and its driving dynamics are likely still superior. We’ll see, when the Audi A5 Sportback finally debuts, which is the better car. But for now, if both were presented to us with the keys, it’d be a hard choice to make.